I Heart My Glue Gun: Giveaway #7 Barrettes & Baubles! Well, we've made it to our last day! It's been fun....and yet we still have an awesome giveaway today! Today's giveaway comes from a friend who is very special to my heart, Aubern- she is the owner of Barrettes and Baubles!! 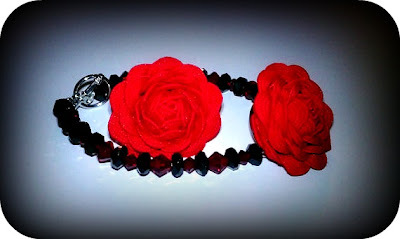 Barrettes and Baubles is offering one I HEART My Glue Gun reader the chance to win a Rose Ring And Bracelet Set! You choose between white, black, red, turquoise, purple, light pink, hot pink, and fuschia in the roses, and any color glass and crystal beads which you can pick two colors and/or styles! 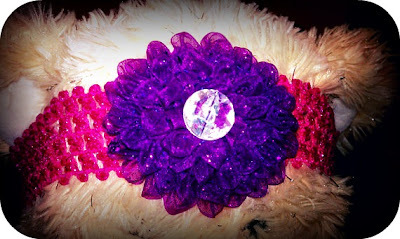 1st Entry- Visit her shop, Barrettes and Baubles, and tell me which item is your favorite! Leave a comment and let me know! 2nd Entry- Add her shop, Barrettes and Baubles, to your favorites on etsy. Leave me a comment and let me know! Giveaway ends on March 14th @ 11:59pm. GOOD LUCK! I added her to my favorites on Etsy. i am a follower...i love her purple satin flower clip. love that shade! I like the spring green satin ribbon flower clip! I added Barrettes and Baubles to my etsy faves! Added her to my favorite shops on Etsy! I like her rose ring and ribbon rose barrettes the best. Those are just too cute!! i love the rose rings! I love the pink leopard print ribbon flower - so cute!!! Great blog! I am a new follower from the Tiggerific Tuesday Blog Hop. I would love for you to hop over and visit Saving and Sharing It. You can also link up to my Time for Sharing Tuesday Blog Hop. I like the pink leopard print flower clip. Super cute. I added Aubern to my favorites. I like the pink leopard print one but they are all beautiful! I love the rose ring and the nail cross necklace. I follow your blog with Google Reader. Thanks for the chance to win! Barrettes and Baubles has been added to my favorites on Etsy. I Love the rose ring! That is so cute! I love the Rose ring! 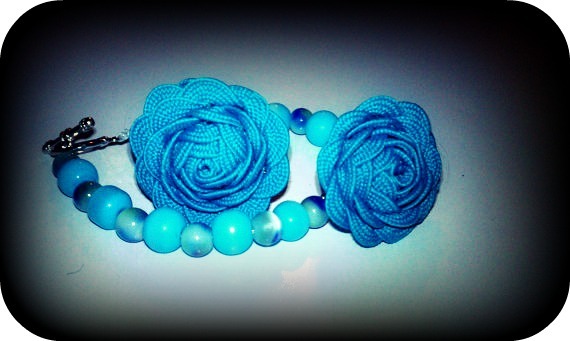 I love the blue rose ring and bracelet set and the white rose ring. I love the Pink, black, and brown leopard print ribbon clip! I am loving the cross made of nails, beautiful! Added to my favs on Betsy!